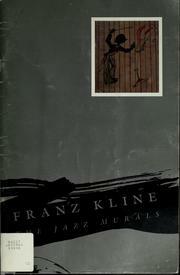 Franz Kline: arte y estructura de la identidad. Franz Kline: the color abstractions. 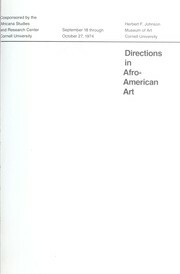 Franz Kline: the color abstractions, [catalogue of an exhibition held at] the Phillips Collection, February 17-April 18, 1979 [etc]. Franz Kline: the color abstractions : (exhibition at) The Phillips Collection,Washington, D.C., February 17-April 8, 1979, The Institute for the Arts, Rice University, Houston, May 4-July 1, 1979, The Los Angeles County Museum of Art, July 17-September 9, 1979, The Seattle Art Museum, September 27-November 25, 1979. 1977, State University of New York, University Art Gallery? Franz Kline: (exhibition) March 1975, David McKee Gallery, New York. Franz Kline: a retrospective exhibition. Franz Kline: a retrospective exhibition held at the Whitechapel Gallery, London ...May - June 1964. Franz Kline: [mostra], Galleria civica d'arte moderna, Torino, 5 novembre-1 ̊dicembre 1963.